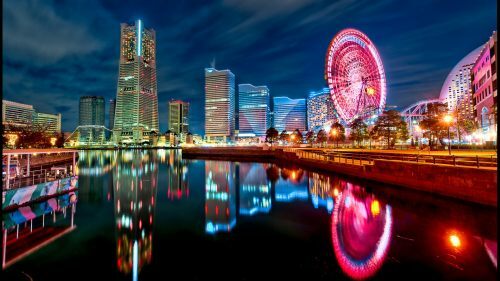 Flights from Calgary to Tokyo, Japan have become available for $629 CAD roundtrip including taxes for travel in spring 2017. The flights have 1 stop each way, in Vancouver, with a reasonable connection time. The overseas legs (Vancouver-Tokyo) are with ANA (All Nippon Airways), a very good airline. The flights also end up at Tokyo's HND airport, the most convenient airport to downtown Tokyo. April and May are great months to visit. Oct/Nov departure dates will be about $50 more than September dates. Update 11/21 - September/October 2017 dates have now dropped to ~$642 CAD roundtrip including axes. October/November dates are available for about $50 more. - The departure date needs to be in September to keep the price under $650. October and November departures will be slightly more, bringing the price up to around $680. - If you do depart in September, flights with a return date past October 19th seem to be about $30 more. If you keep the return date in September, the price should still be under $650. calgary, yyc, flight deals, tokyo, japan, asia, east asia, hnd, ana and all nippon airways.